For more than 28 years, Tom has helped individuals and families achieve their financial goals through a variety of planning strategies. His broad knowledge of insurance and investment products gives his clients the confidence they need when working with a financial services representative. 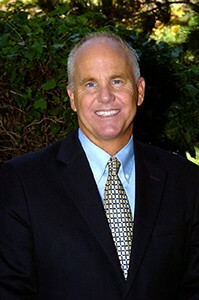 Tom graduated from the Marriott School of Management at Brigham Young University in 1983 with a Finance and Economics Degree. Tom holds the designations of CERTIFIED FINANCIAL PLANNER™ professional and Chartered Life Underwriter along with FINRA Registrations: Series 7(General Securities Representative), Series 24(General Securities Principal) and Series 65 (NASAA Uniform Investment Advisor Law Examination). His professional mission statement declares: It is our responsibility to educate, inform and empower our clients by delivering the most accurate and timely financial information available while providing the very top quality of products and services through companies and individuals who share our level of commitment to integrity. Tom resides in the Sabre Springs area of San Diego with his wife Diane. Tom and Diane are proud of their three children, all of whom are now married. Evan and Jenni Naylor live in Poway, CA with their son Cy. Jordan and Maddie Naylor live in Rexburg, Idaho. Brynn married Trevor Clark and they currently reside in Provo, Utah. Tom is passionate about his family, his clients and his hobbies. Over the past 10 years, Tom has participated in 18 marathons, several duathlons and triathlons, including six Ironman triathlons. Thomas W. Naylor is a registered representative of and offers securities, investment advisory and financial planning services through MML Investors Services, LLC, Member SIPC. 4275 Executive Square, Suite 400, La Jolla, CA. 92037-1250 (858)558-7000. CA Insurance License #: 0650673. Naylor Wealth Management Insurance and Financial Services is not a subsidiary or affiliate of MML Investors Services, LLC or its affiliated companies.